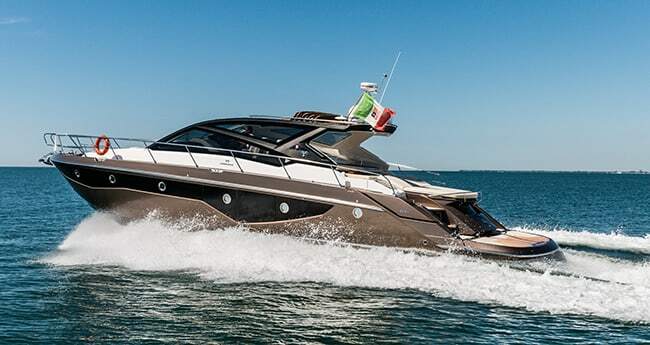 The Cranchi 60 ST will remind you why you get on a boat in the first place, while satisfying your evolved sensibilities. In the boatbuilding business, there’s much talk of the passion. 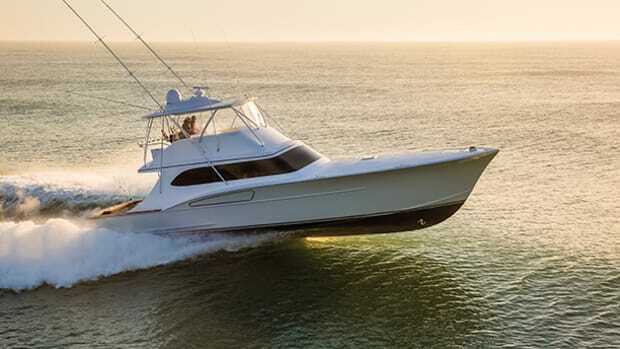 It’s this deep-seated love for the sea that’s purported to be the driving force behind the business decisions of many a boatbuilder, and that’s surely something that you, the boater, must understand. If you don’t get it, though, that’s okay. Anyone working in the boat business will tell you: There are plenty of easier ways to get rich. If you don’t really have that passion, it’s probably just as well that you conduct business in some other industry. Enjoy your boat in your free time, and leave the hard work of building great boats to those who get it. And there are those that do get it. One company in particular that comes to mind is from Italy (surprise, surprise): Cranchi, a 145-year-old, family-owned builder with a crab in its logo (The Italian word for crab is granchio, and I suspect it was some ancestor’s nickname that arose from the family name and stuck around. For almost a century and a half). 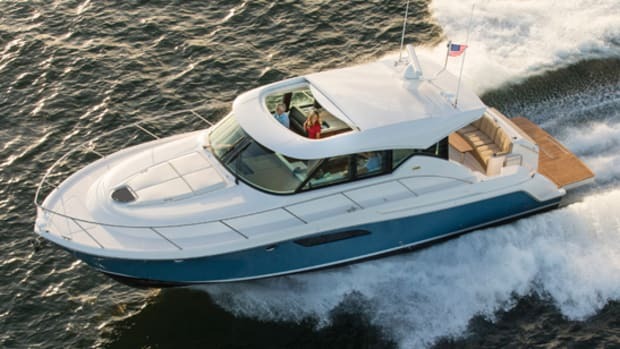 The company’s offerings include outboard models from 24 to 32 feet, and inboard models starting at 27 feet and edging up into the 50s with the hardtop line. 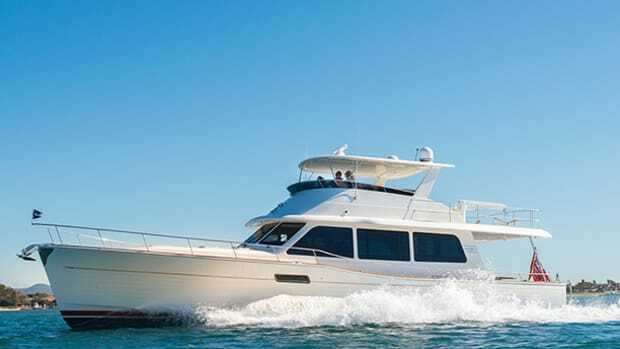 The company has also veered into semidisplacement boats, with Eco Trawlers that offer efficient cruising and a nice turn of speed, including 40-, 43-, and 53-footers. 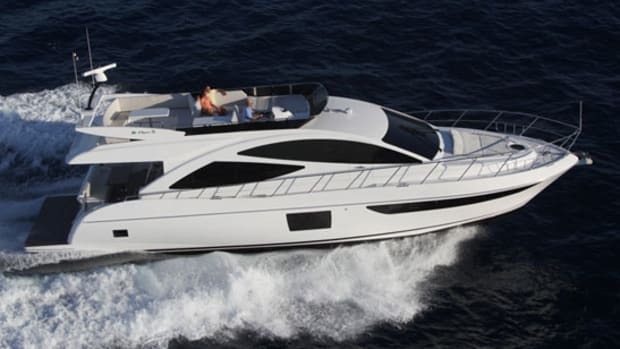 And the company’s motoryachts and express cruisers are climbing into the 60- to 70-foot range, and, we’re told, we may see a boat reaching an LOA of 80 feet in the near future. To get a real sense of where Cranchi’s boats fit in the grand scheme, I recently visited the company’s test and commissioning facility in Marano Lagunare, on the northern Adriatic coast, between Venice and Trieste. It was a stunning day, warm with a bright-blue sky, as I pulled into the beautifully manicured lot, where an enormous shed stood out among its neighbors in a canal-side industrial area. Next door was a facility where Cranchi builds several of its smaller models, but the shed I visited gave me a glimpse of the company’s history along with its status today. Inside was most of the current line of boats up to 40 feet. A couple of models were represented by empty racks, because they were out for show somewhere. But it was the history in here that caught my eye: a mahogany runabout, race boats, an aluminum skiff, a little wooden cruiser (the scale of some of these boats blew my mind—tiny), and even a sleek, wooden daysailer tucked under a mezzanine. They all showed glimpses of a well-rounded past laced with panache. 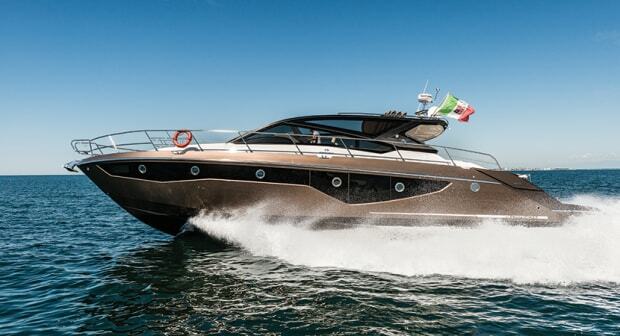 Cranchi has earned its stripes as a complete boatbuilder. It wasn’t terribly surprising, then, that the company wants to grow its line larger, and the 60 ST (Soft Top) that we tested is one way to do it. If you’re looking to get on the water with style—this boat shows an innate understanding of Mediterranean boating, which holds certain … charms. I would refer to her layout as a grown-up dayboat. She’s actually a capable cruiser with a lower deck full of comfort and amenities. But all that doesn’t get in the way of enjoying the boat thoroughly, as soft breezes waft and golden sunlight illuminates the main deck. This is a boat that means to get us enjoying the water, the wind, and each other’s company, and it does so by giving you room for everyone. There’s plenty of space for your guests to mingle, on a huge settee in the cockpit. We usually note the shapes of these seats by using letters of the alphabet: U-shaped, or L-shaped. I guess I would say this one is a C, connected to an L. Whatever it is, it spells fun for a crowd. 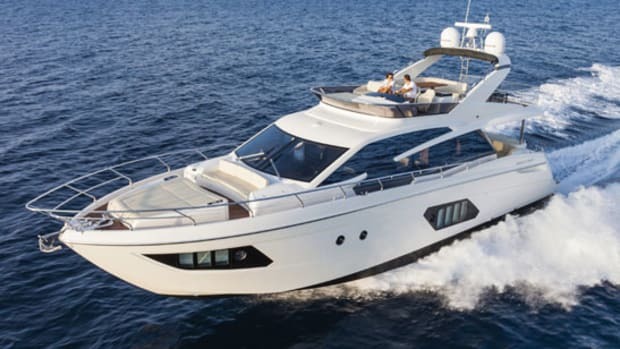 The superstructure has a sleek rake from the windshield on back, and the aft edge of the hardtop extends toward the stern to shade the settee somewhat. 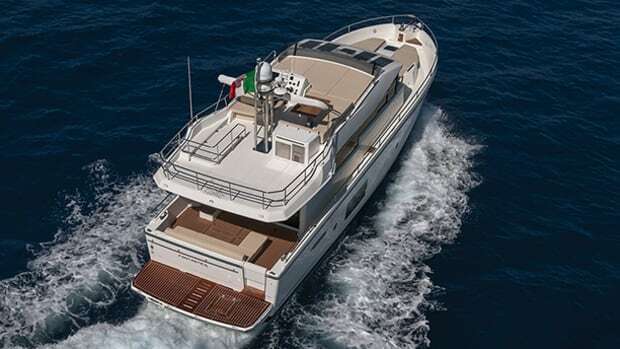 An enormous sunpad aft is positioned over a gaping tender garage that holds an optional 10-foot tender, and is flanked by stairs that grant access to a wide, teak-decked, hydraulic swim platform that can raise and lower up to 660 pounds. 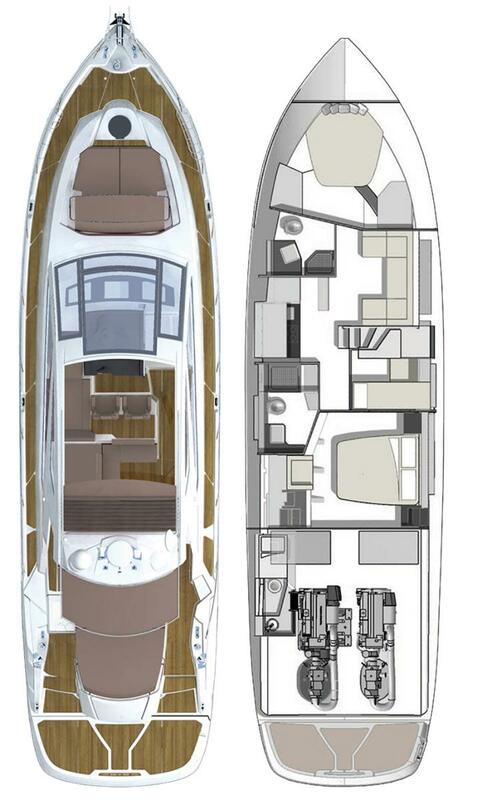 Beneath the cockpit deck is an engine room housing two 725-horsepower Volvo Penta diesels linked to their respective IPS pods. The space is a bit snug, but there’s room to work, with 20 inches between the engines and better than a foot of access between their forward ends and the fuel tanks. Back on deck, the area forward of the settee is where the boater in me starts to get interested. The 60 ST has a centerline helm pod. The helm deck is a step up, and has the companionway to starboard leading belowdecks. To port of the helm is a wide chaise built in, in case your mate would rather lounge than sit in the companion seat to starboard. Overhead is the namesake soft top, a fabric panel that folds back like the top on a Fiat 500—in layers like an immense roman shade—and opens a wide rectangle from over the helm aft to just over the L-shaped settee. Using a cloth top is not just a cool solution that allows for a larger opening than a sliding panel in the hardtop (today’s engineers can do remarkable things with sliding panels), but it also reduces weight up high for improved performance. The whole helm arrangement feels like a command center, and when you step up there you really get the sense that you’re in control, but you’re not stuck indoors (or alone on a flying bridge) driving while everyone enjoys the breeze from the cockpit. A wooden platform footrest unfolds and lets you drive with your head out the sunroof. This is a large helm console with a 12-inch Raymarine gS-Series multifunction display centered on the top tier, surrounded by analog gauges above a pair of Volvo Penta engine-monitoring displays, a Raymarine autopilot control, and a Humphree interceptor trim control unit. You’ll want to drive with the sunroof open a lot of the time on this boat. 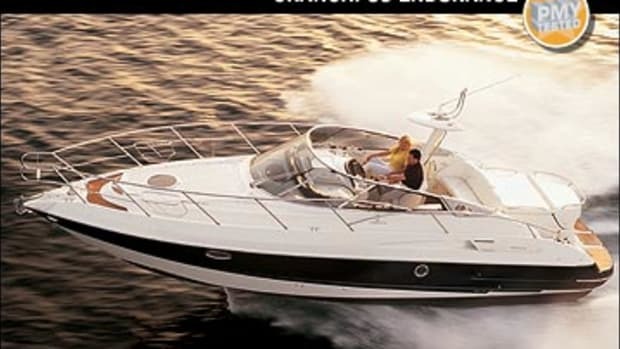 After all, you’ll find you’re getting into the Mediterranean way of boating, and when you take up your position behind the large center pane of the three-panel windshield (one wide pane and two narrow ones to either side), you’ll notice a couple of things. 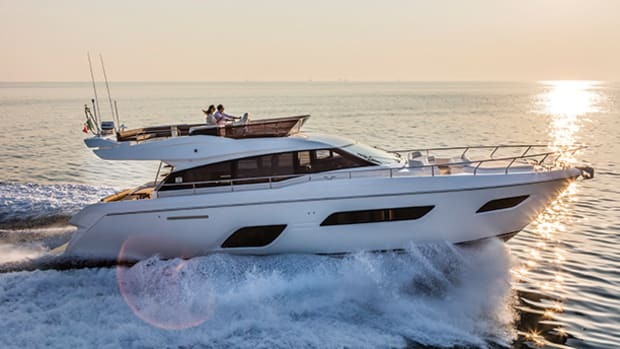 First, your sightlines are somewhat obstructed by superstructure members, including rugged diagonal slashes of fiberglass to both port and starboard, as well as the A-pillars of the windscreen. It may take some getting used to, and, again, the idea of driving with your head out the top in the breeze makes a lot of sense, particularly in tight spots. The obstructed view means you have to pay close attention to keep track of other boats, buoys, and obstacles, not always easy when the party is all around you. 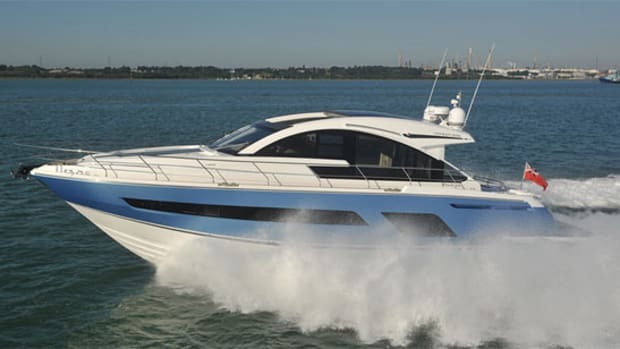 The Volvo Penta IPS950s on our test boat decisively accelerated the boat through the speed range. The 60 ST is a vessel that loves to run and bring all your friends along, too—they’re all going to be right there with you. As we motored out the channel, that chaise to port of the helm was obviously the perfect spot for a loved one to relax while I drove, the sun filtering between the various structural elements overhead. And then, once past the sea buoy, I cut the wheel at speed and watched the boat respond through sweeping turns. I craned my neck around the obstructions even with the sunroof open, but, as I said, I think the helmsman will need to stay sharp even when accustomed to them.This boat is more for a boater with a vision for the good things in life. Three full staterooms await belowdecks, plus a galley and a saloon with an intriguing entryway that feels almost like an atrium. The companionway steps turn athwartships to port, allowing a grand entrance into the space as you walk down five steps to the galley. Grab a tray of sandwiches or skewered meat and vegetables for the grill, and head back up those steps. Or the galley lets you and your crew start the day in privacy by serving coffee and pastry at the settee with table in the saloon. Abaft the stairs are the amidships master and a starboard double guest stateroom, each with smart use of space that makes the most of both the lower deck and the main deck. The master berth has 42 inches of clearance above. The other guest stateroom is in the bow, with a roomy berth, hanging lockers, and direct access to the second head. The setup creates the flexibility to consider staying on board the boat overnight, and asking guests to join. That’s what dayboating is all about, isn’t it? Running like there’s no tomorrow, dropping the hook in some rocky cove on the Istrian coast, and diving off the swim platform. Lying out on the sunpad to dry, then doing it all over again. Monday never comes in the Med of my mind. I’m beginning to understand where all this passion comes from. Air temperature: 70°F; humidity: 72%; seas: 1-2&apos;; wind: 7 knots. 280 gal. fuel, 142 gal. water, 3 persons, 200 lb. gear.